But as the weather starts to warm up, which pests do I need to tackle first? Over the autumn and winter months, vine weevil larvae stay beneath the soil and feed on roots, causing plants to wilt and die, and if they survive, the grown adult weevils then eat plant leaves during spring and summer, resulting in irregular-shaped notches on the leaves. Also, slugs begin to make an appearance from March as the British climate makes the perfect breeding ground for them. Nemasys and Nemaslug offer the perfect solutions to pest control, and the various species grown by BASF, in the only specialist nematode production facility in Britain, can protect your plants from a variety of pests. BASF grow six different nematodes, all of which are simply mixed with water and either applied from a watering can with a coarse rose or sprayed onto the foliage and soil, depending on the variety. There is no need to keep children or pets away from treated areas and the whole programme is entirely biological so that all the Nemasys products can be used by organic gardeners. Vine weevils are beetles with a long, thin snout. It is actually the larvae of the weevil that causes the main damage to plants, as they remain in the soil and eat the roots. 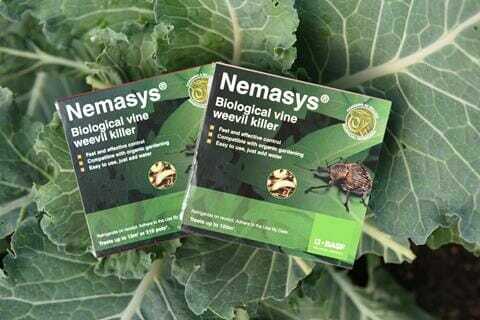 Nemasys Vine Weevil Killer targets the larvae while they are still in the soil and kills them before they have a chance to cause damage. A regular regime of using Nemasys Vine Weevil Killer every four weeks throughout the growing season is the best way to control the pets. With each slug laying up to 300 eggs, in up to 50 separate batches during a season – that’s a lot of slugs! It is estimated that each cubic metre of soil can contain around 200 grown slugs. The best time to target slugs is when they are newly hatched, so the period between March – October is ideal. As nematodes are able to travel through the soil, to where the newly hatched and young slugs’ dwell, they are able to attack them before they are even in sight, unlike slug pellets. 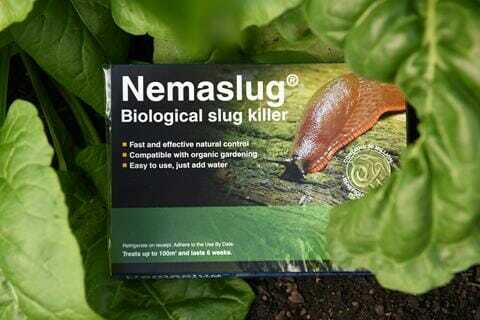 A regular regime of using Nemaslug every six weeks throughout this period, from March to October, is the most effective way to keep slugs controlled throughout the growing season which will help keep your plants safe.